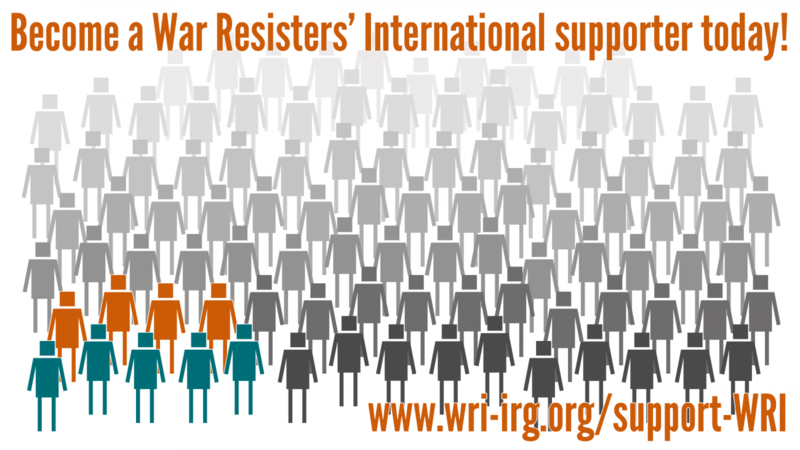 War Resisters' International (WRI), the international network of pacifist organisations with more than 80 affiliates in more than 40 countries, calls for an end to the harassment of our affiliate Gays and Lesbians of Zimbabwe (GALZ) and to the physical attacks on members of GALZ. Furthermore, WRI strongly condemns the violation of basic human rights of the members of GALZ, such as freedom of association, freedom from arbitrary arrest, and freedom from torture and degrading treatment. On 11 August 2012, GALZ launched its report on violations of LGBTI rights in Zimbabwe with a press conference at the GALZ office in Harare. Following the press conference, GALZ members celebrated the successful launch with a party, which was then raided by police, who detained the 44 members of GALZ present - 31 men and 13 women. All were subjected to beatings and abuse while in detention, but released the following morning without charge. A few days later, the police started a hunt for those detained on 11 August, detaining three who they encountered at home for questioning, and ordering those who they did not find to report to their local police station. While those detained have been released, this hunt again serves as intimidation - a clear attempt to make GALZ's work impossible. Subsequently, on 20 August, police raided the office of GALZ and seized computers and literature. The present harassment of GALZ and its members follows earlier attempts at intimidation. In May 2010, police raided the office of GALZ and arrested two members of staff. A few days later the police also raided the home of the director of GALZ, who was not at home at the time. Both staff who had been arrested were released after a few days, and acquitted a few months later, but items seized during the raid have not yet been returned. Established in 1990, GALZ has been affiliated with WRI since 2001, taking an active role in our activities and currently helping us prepare our 2014 international conference in South Africa provisionally titled "Resisting the continuums of violence". We are fully aware of the extent of Zimbabwe state violence against its own citizens. Whether fuelled by greed, the lust for power or homophobia, these forms of violence are connected. The violation of any human right weakens respect for human rights themselves. Above all, the harassment of human right defenders - such as GALZ, who have prepared a serious report on Zimbabwe's violations of lesbians, gays and trans-sexuals - is a warning to all those who oppose the abuse of state power.